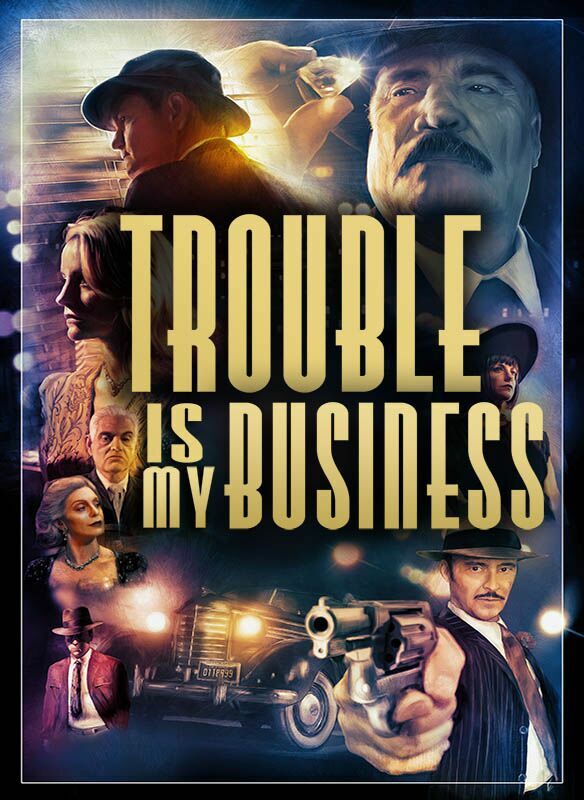 TROUBLE IS MY BUSINESS is a nice little throw back/homage/spoof of the classic hardboiled film noirs. Director Thomas Konkle stars as detective Roland Drake. Scandal involving a missing person case gone wrong has put him on the fast track to hell. When a dame to die for enters promising him redemption he takes the case but things soon go wrong as his client disappears, leaving a pool of blood behind and his evil ex-partner starts sniffing around for a pay day. 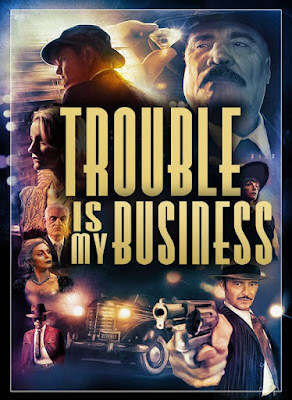 Intentionally hitting every noir cliché you can think of TROUBLE is a very self-aware film. The result is a plot you’re going to be way ahead of, however you won’t mind since the point of the exercise is to just enjoy the ride. This is a film for people who know and love the noir conventions and don’t mind them being joked about since, in this case, it only adds to the fun. Once I accepted the tone of the film I had a good time. This is a film that manages to be both a good mystery and a comedy. This is just a film that is a good time.